Excellant protection with convenient storage. Luna's soft cases feature lightweight, durable construction and polystyrene core cushioning with 5mm outer foam padding. 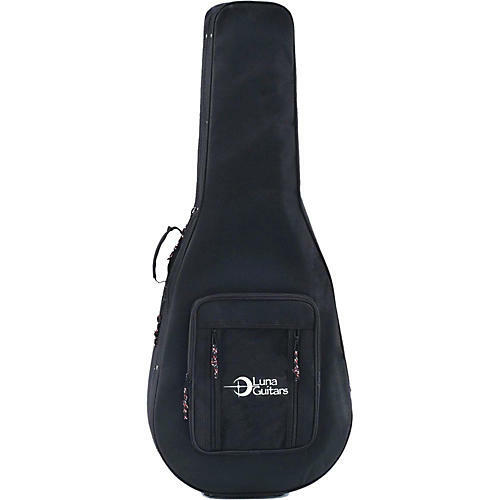 Designed to offer excellent protection for your parlor size guiter, this case is made of water-resistant black fabric and displays the Luna Guitars logo embroidered in white under a net pocket. Black velvet interior. Two-way zip closure with purple zip hanger and detachable shoulder strap. Get the right case for your Luna guitar.